1th challenge: Casting an extra set of weels. 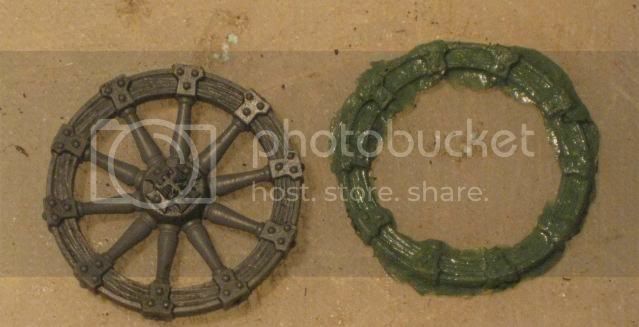 I made some casts from Fimo with the original weels. 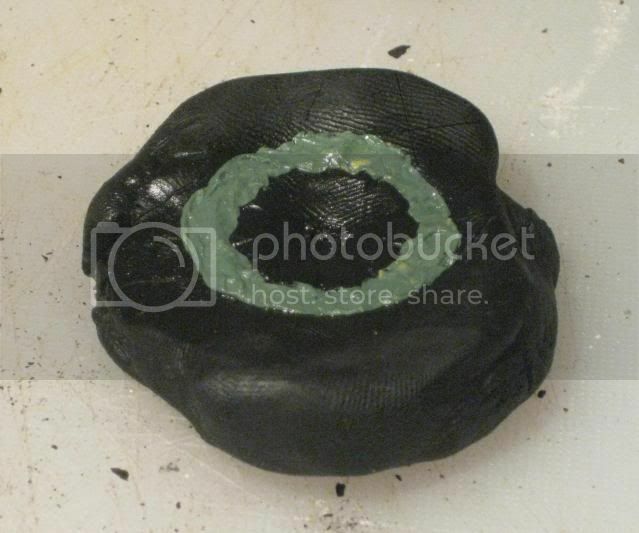 After baking the Fimo I added greenstuff for the weels, using cooking oil to prevent it from sticking. The first bach turned out usable, but it seems to be needing quite a bit work on it. I'm pushing into new terrain here, so some guidance and comments would be most Welcome. I like your idea. 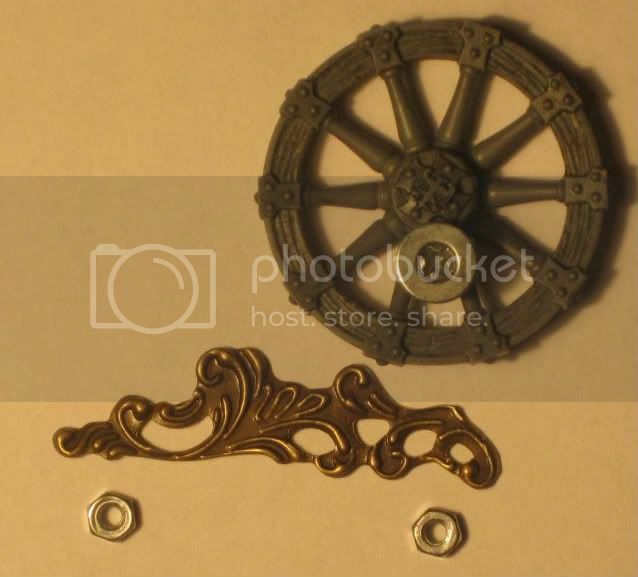 Why don't you look on e-bay for the parts you need instead of moulding them yourself. Be professional, be polite but have a plan to kill everyone you meet. looking forward to see what you come up with!! Lest Perambulator slap you on the hand, I would remove your pics of you making duplicates of copyright protected items. I'm all for "recasting" but I would never show molds themselves. 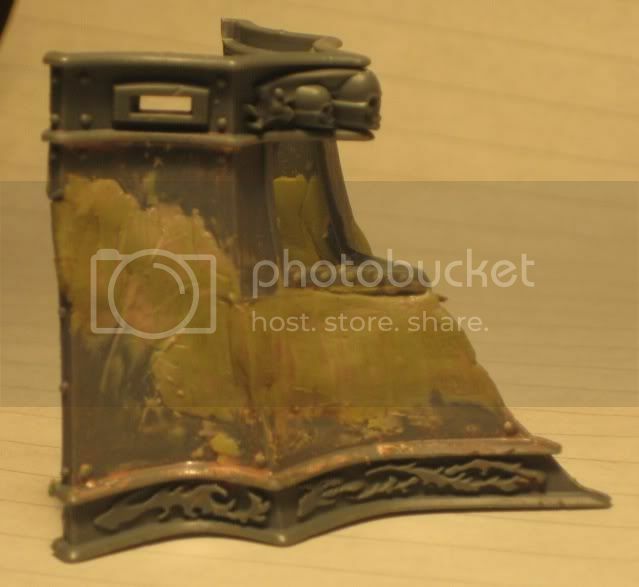 If anything only show a primed final product so that people might not tell the difference. I am actually Steve McQueen. Thanks for the feedback so far! Conserning copyright, the duplicates are for personal use only and are not intended to be in violation of Norwegian or British copyright law. 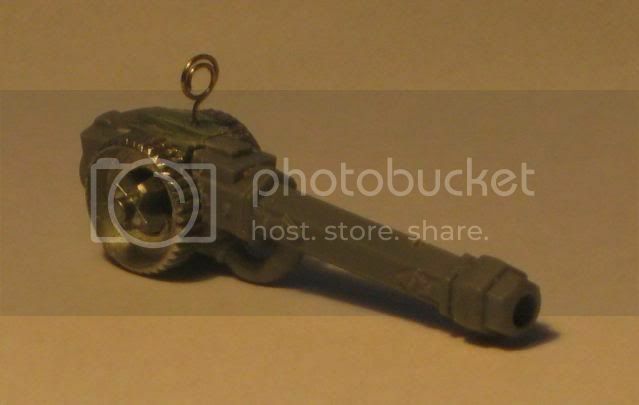 Furthermore, while posting pictures of them I concur that this website conforms to Games Workshop's (GW) Intellectual Property (IP) pollicies, and will off course remove them if the admin so wishes or it is otherwize found that by posting them I infridge on the integrity of this website by making it violate canadian law. I like the idea of the extra wheels and opening it up, but to be honest the whole onger front thing seems a bit ridiculous. Good luck with the project! Have you seen how far far away Australia is? If you want a two wheel set up at the rear why not just cut the wheels in half and use plastic card or equivalent to make mudguard type arrangement over the missing top parts. Australia? Never heard of it... You are not kidding me? Next thing you'll be sayin that it is on the underside of the earth. But you won't fool me. no sir. As with Jak's suggestion to cut in twos and cover up, e-bay might come in handy as a plan B. Since your referring to Norwegian law i take it your Norwegian too like me. Besides the name gives you away. 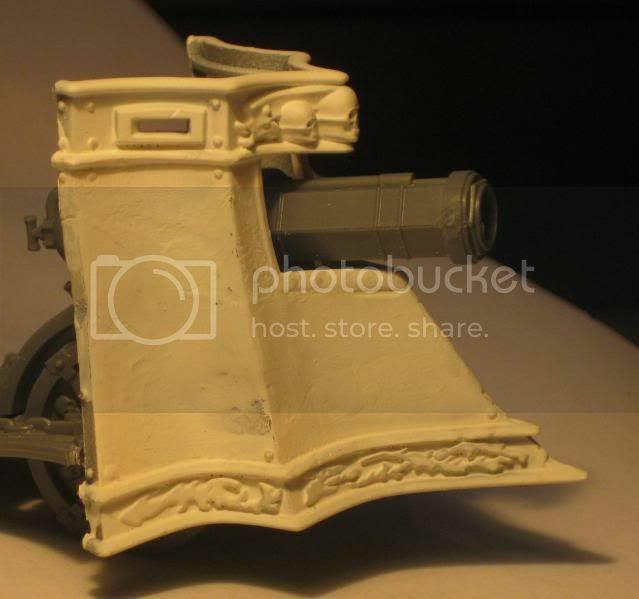 I regularly shop bits and GW stuff from various sites on the web and never once have i had any problems. Right now the Norwegian Kroner really strong, especially vs the british pound. Remember that any package worth under 200NOK (~£20 or ~$40 at the moment) you dont have to pay toll. This is including any shipping tho so keep that in mind. I only paid for one shipping and handling even tho they sent my order in two boxes. Only one was stopped in the toll, adding 200NOK to the total cost. Still saved me 300NOK from buying the stuff at GW, which i cant considering i dont live in Oslo. Ive had a couple of orders from bitsandkits.co.uk but theyre horrible at resupplying it seems and atm the didnt have Stank wheels. We're not a Norwegian site. GW is actually quite aggressive in enforcing it's IP rights on American and Canadian sites (this site is hosted on Canadian servers). Just a slight clarification on why I didn't comment on havre's part's molding. For one thing, he isn't selling them. If he were to start selling them, he wouldn't be able to do so on this site. He's welcome to try elsewhere and that's between him and GW. Taking pictures of items that he presumably legally purchased and owns is just fine. 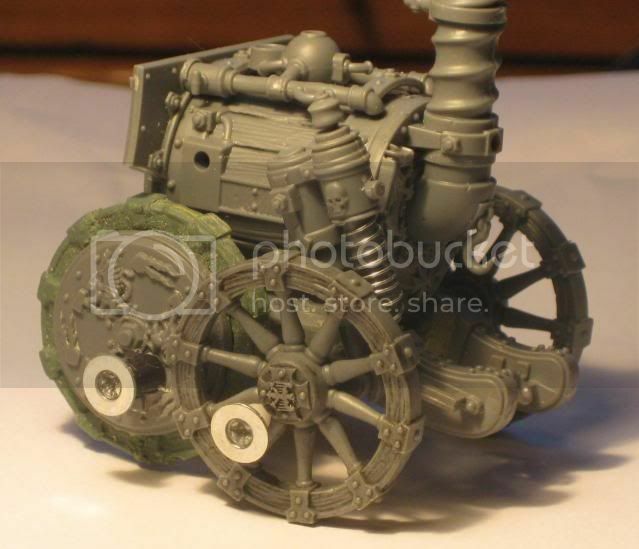 Using pictures that he got directly from GW is another matter entirely as he has not purchased the right to repost them here. 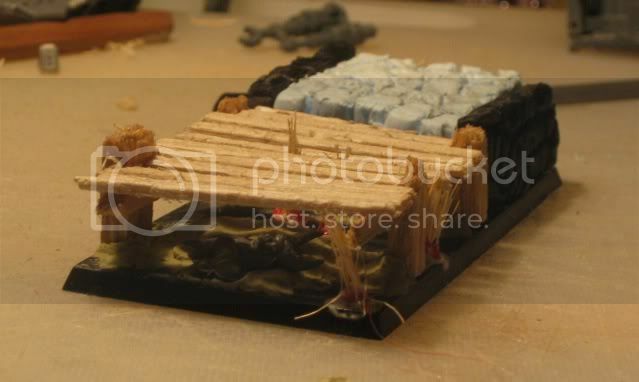 We have had a number of threads relating to sculpting, molding, etc. and how to do so. As there are many more legitimate uses for such techniques then merely copying and infrigement of third party rights, we have no basis for blocking such descriptions. We can block what are blatant violations and we do the best we can. Your continued assistance and cooperation on this is much appreciated. Feel free to contact me with specific questions if you have any. Using Milliput, I tried getting a smoth surface where the front chield was extended. The picture below is from before sanding and polish, and I'm still a bit worried it will look to uneven. The first extra weel turned out relatively okay, so hopefully there will be no use for e-bay as of yet. 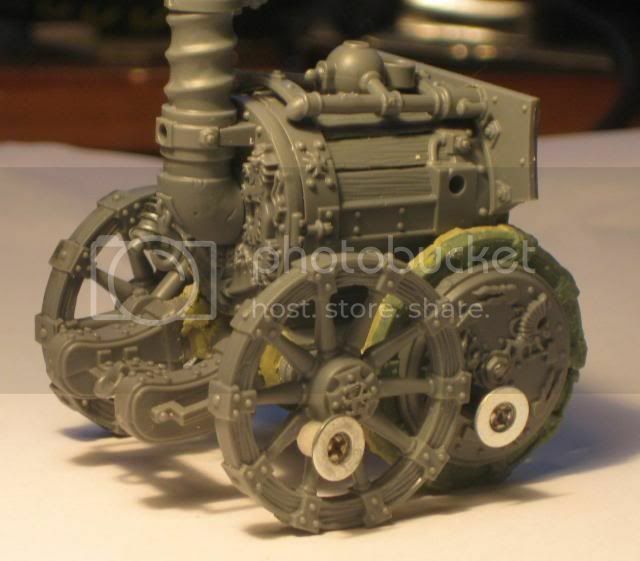 I'll have to move the pistons to fit in with the weels, but am still a bit unsure where to put them. Very nice work so far! I'm impressed, I wouldn't be able to extend the front so smoothly. Been doing some work on the base. Inspired by misterjustins work I'm going for some watery ground. Only my wehicle will keep its weels dry - hopefully. 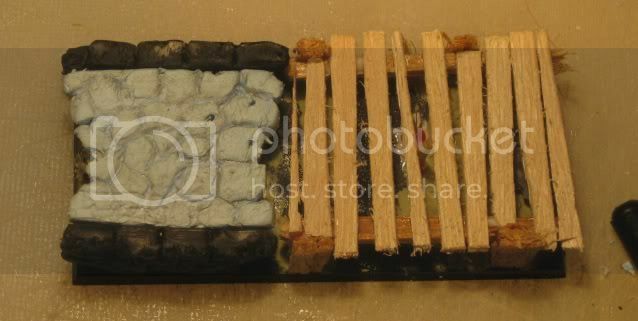 It depicts an old broken stone bridge hastily repaired with a chrackled wooden structure. However, do you think a Stank could really make it over a bridge? Really?? You're forgetting that the British Army is made up of transvestites and gigolos. Its our greatest weapon. Taliban are fecking terrified. Why do you think it was repaired ? 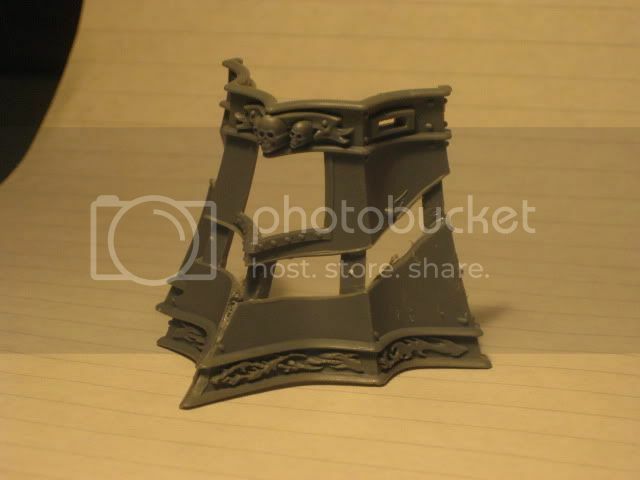 Hope you get the angles on the front to add up, they show up as a bit skewed in your original build, before the putty. Looking forward to seeing the end result! Nice looking bridge, even if the tank is going to break it. A bit put off by the work of Pepe now but trying to kickstart my stank project again. 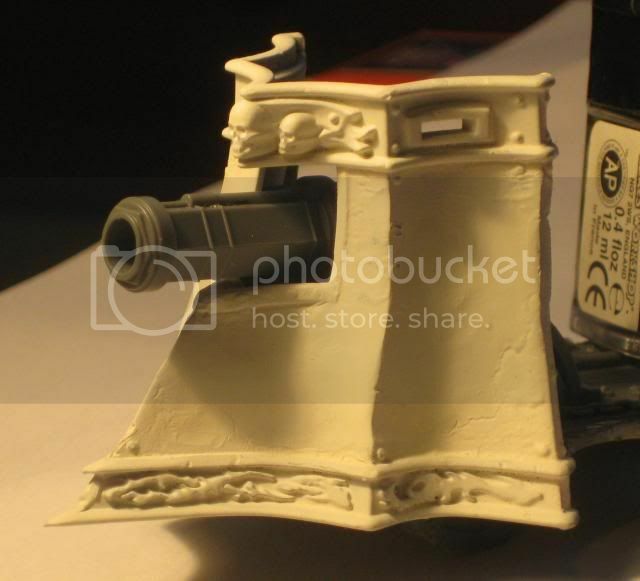 First on: Turret mounted Steamcannon has been a bit modified. Should I drill a hole on the front of the pipe for the sights or leave them where they are? 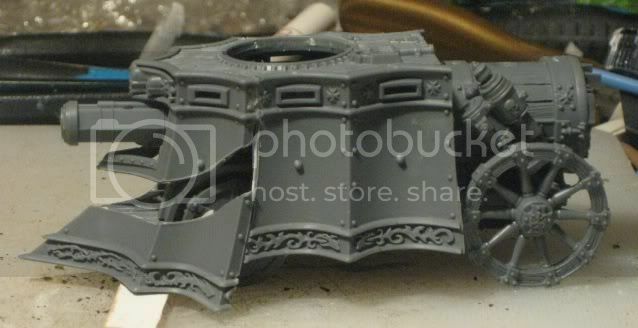 Following the tip from crube I've basecoated the front shield - and it does turn out quite uneven. (There's nothing like pictures when it comes to spotting bad spots.) 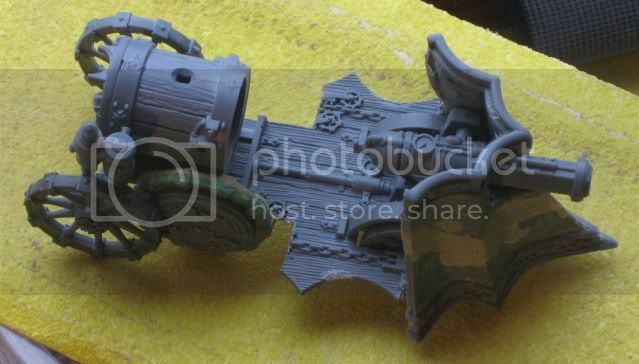 However, I hope some more sanding will help and the rest fit in with the weathered look. Same goes for the skewed angels, Herostratos.